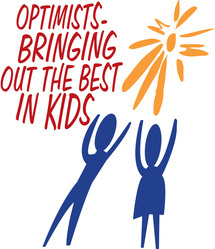 Optimists – Bringing out the Best in Kids. The Northridge Optimist Club has been active in the Northridge community for the past 50 years in providing youth scholarships, services and activities. 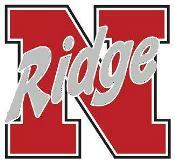 Our club is interested in reaching out to the community for potential members to join us in serving the community, and would like to make Northridge alumni aware of this opportunity. A “Membership Invitation Brochure” is available to download HERE, with more information on our club and what we do. Meeting schedules are available on our WEBSITE along with more information on club activities and club contact information. Come visit us for lunch – be our guest, and see what you think. (Please check the club website Bulletin Board for current schedules to confirm the meeting place). Membership Invitation Brochure: Download this brochure for more information on becoming an Optimist Club member and learning about Optimist International. Keep it as a handy reference or to hand out to friends. It is your invitation to join us in helping give back to our community. The Northridge Optimist Club fundraising event, scheduled for Thursday, September 27, 2018, supports Youth Activities and Scholarships for Northridge area youths. The scholarships are administered through The Optimist Club of Dayton-Northridge Scholarship Fund, a component fund of The Dayton Foundation. Visit the 35th Annual Scholarship Scramble event page at http://www.northridgeoptimist.org/2018-scholarship-scramble-fundraiser.html for more information on this golf outing which is back at Miami Valley Gold Club this year. Last year was our first year to hold the event at Miami Valley Golf Club, and it was a hit with the participants, who enjoyed the beautiful course, followed by a prime rib buffet in the MVGC dining room, plus drawings and many prizes. There will be a 1:00 PM shotgun start, with sign-in at Noon. The $120 green fee includes golf and the buffet dinner after the round. In addition to the golfing, there are sponsorship and donor opportunities. Registration forms are available for downloading from the website (via the above link). A promotional flyer for the 2018 event is also attached to this email. Saturday, August 4, 2018 has been announced as the date for "Optimist Kid's Day in the Park" this year. This is a program, sponsored by Kettering Noon Optimist Club, which presents a day with a multitude of fun activities for kids, Kindergarten to 8th Grade, held annually at Delco Park at 1700 Delco Park Drive, in Kettering. Over a dozen Optimist clubs will participate by each setting up their own event for kids to enjoy. Last year was the first year for Northridge Optimist Club participation, and members are looking forward to joining in again this year. The Northridge Optimist event theme was rocket launching.